"Sometimes the wrong train takes you to the right station." 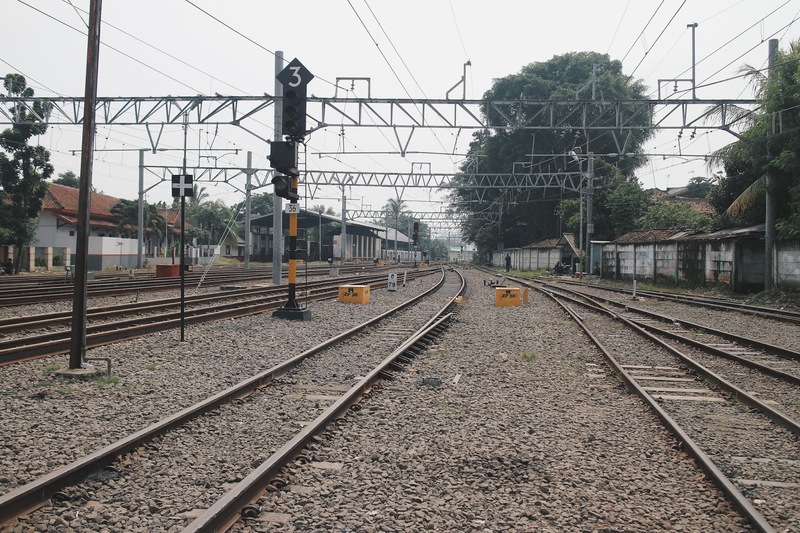 That was not the case with my train ride to Rangkasbitung for a trip to Baduy and Tanjung Lesung. I did not take the wrong train, but I find the quote very much beautiful for a weekend contemplation. Being a writer puts me on the road a lot of time. When you're on the road listening to music with an empty mind, your thought wanders to a lot of places. I guess this is normal for everybody. The same thing happened to me when I traveling to Baduy, yet my mind wanders off to places I've never been, like the future, figuratively speaking. It was funny to find myself thinking a lot about the future in a very conservative village like Baduy. Sometimes the rain doesn't wash away the thoughts. Most of the time, the rain even put more thoughts in your head. It started with a 30 minutes hike. The rain fell heavily on a Thursday afternoon. I was on my to Ciboleger to enter Baduy after a short trip to Tanjung Lesung. The short trip was entertaining, but I was looking forward to visit Baduy, a place that my dad always talked about since I was younger. 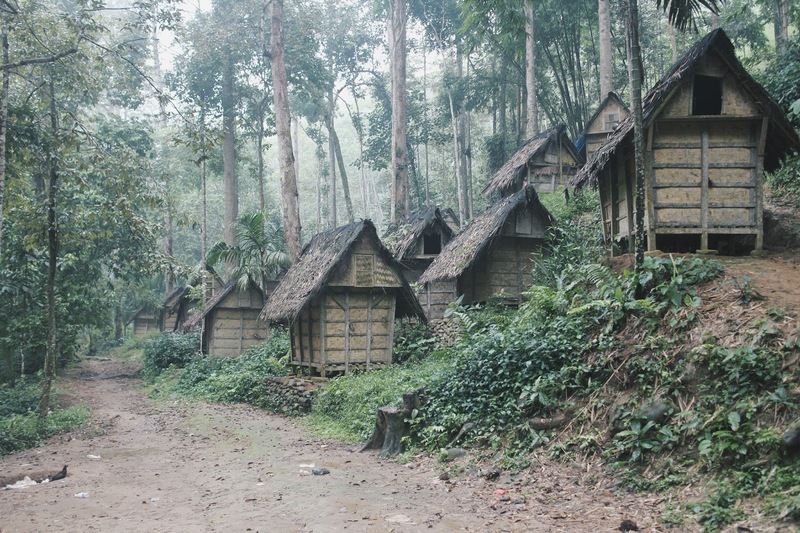 Baduy village is located deep in Rangkasbitung. It has been a tourist attraction for years since it was known for its conservative view on lifestyle. 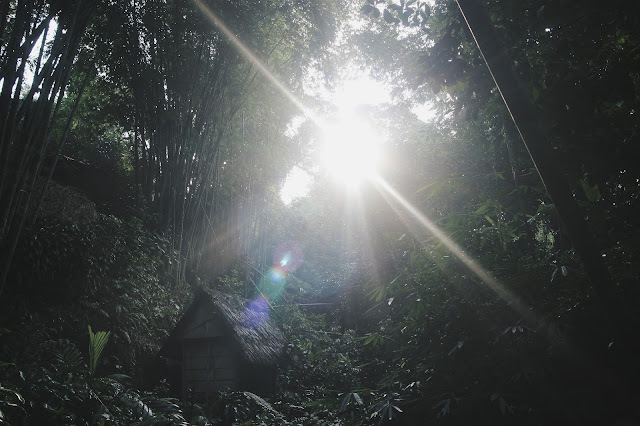 Baduy itself is divided into 2 parts, inner and outer Baduy. Located 4 hours hike from each other, inner Baduy is known to be far more conservative than outer Baduy. They do not use technology, modern clothing or even sandals. Rumors told that if you gave them your house address, they will walk to visit you once in a while without using any vehicle since they are opposed to modern lifestyle. 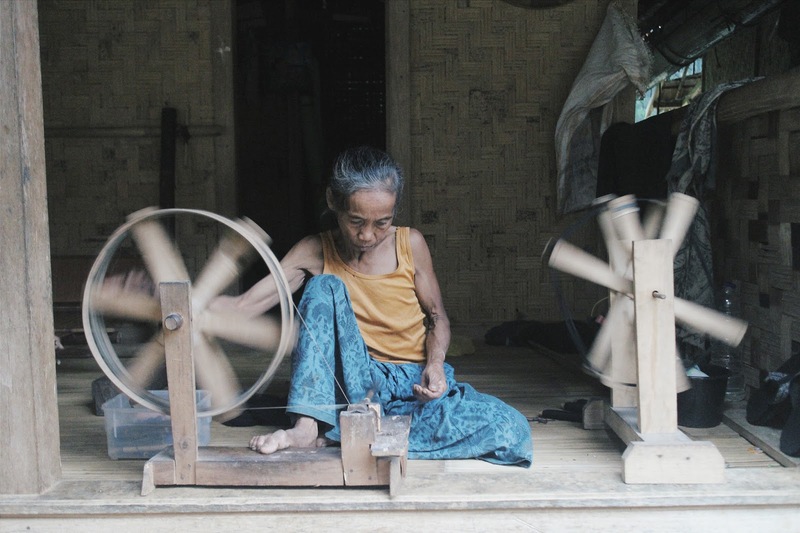 After hearing about the story of Baduy villagers for the first time, I was intrigued to visit and see these lifestyle myself! Not long after a 30 minutes hike on a slippery ground, I arrived at one of the village in Baduy. 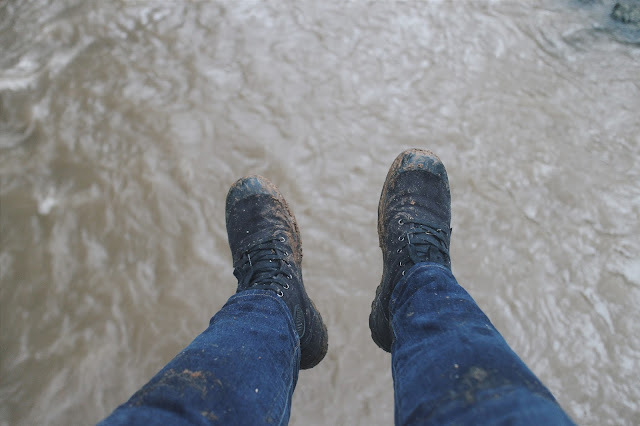 What hiking after the rain looks like. I passed several locals on the way to the village. Some of them smiled at me, or probably laughed at my struggle to walk on the slippery ground while they were walking without sandals. At one time, I heard chuckles from behind when I was concentrating on walking a downhill path. Turns out it came from the local kids who eventually ran down the same path I was stumbling on. At around 5 PM, my friend and I arrived at the village. The sun was setting and kids were heading back home to their parents. Meanwhile, the women were using all the daylight they had left to weave as much fabric as possible. 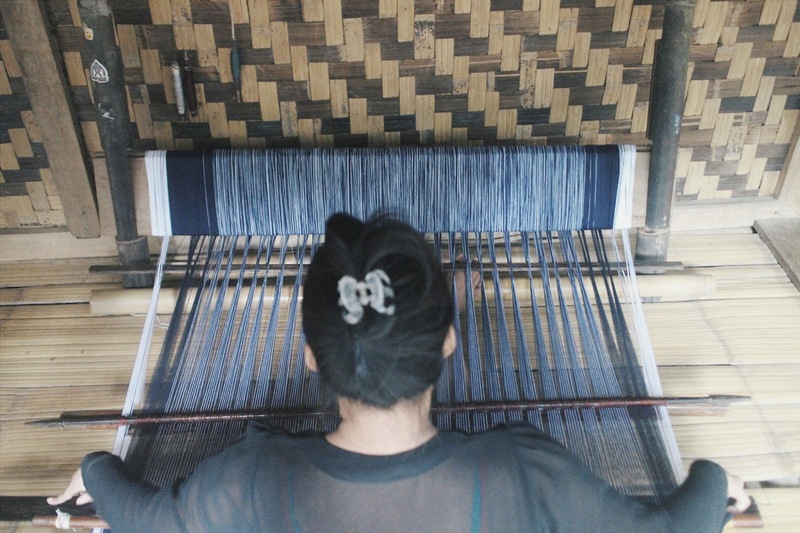 Soon enough, I learned that fabric weaving and coffee plantation are actually two of their main source of trade and income. Fabric weaving in Baduy is for women of all ages. Making use of the daylight. Nothing much happened after that. I tasted some durian (which is apparently a popular food in Baduy) and had some dinner that I brought from the city. 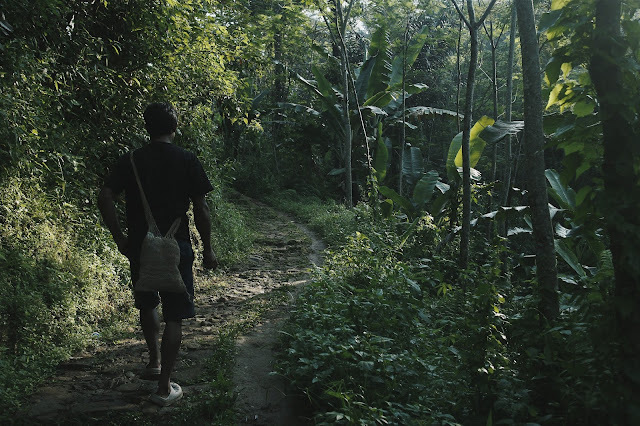 Make sure to bring your own food for your stay in Baduy. If you wish to bring food ingredients, the locals would also cook for you. That night, we stayed at a locals house for only Rp 150k including me, my travel buddy and a solo traveler I met on the road. I spent that night reading a few books and assessing my thoughts, some of which do not lead anywhere. Tell me, was it a part of a quarter life crisis? Anyways, I woke up very early the next morning. That was because, life in Baduy starts very early. Unlike the norm in the city, Baduy villagers would even wake up before the roosters crow. 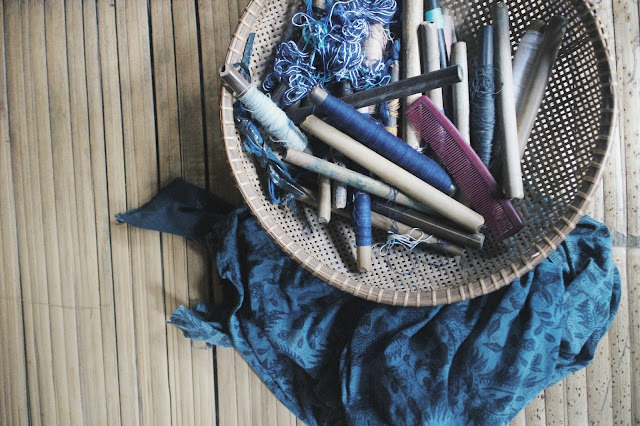 Life starts as early as 5 AM with a quick check on the farm, preparing breakfast and fabric weaving. These ladies seem to weave all the time! 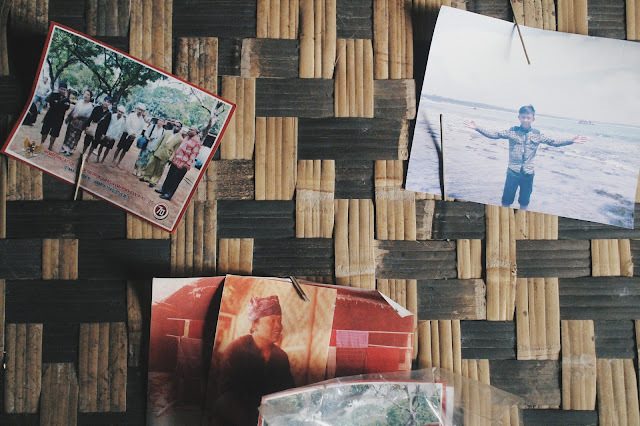 Photos of family members on the wall. 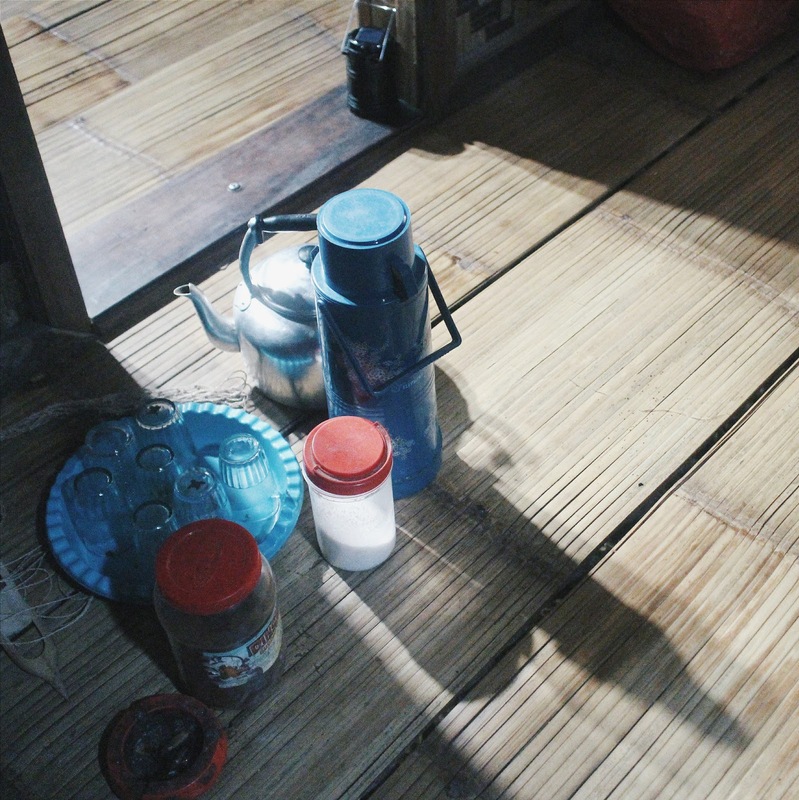 In Baduy, life doesn't start after coffee. Surprisingly, they drink coffee at night, but not in the morning. Probably, since Baduy villagers hold a preserved and conservative tradition, the people do not mix in with the visitors. 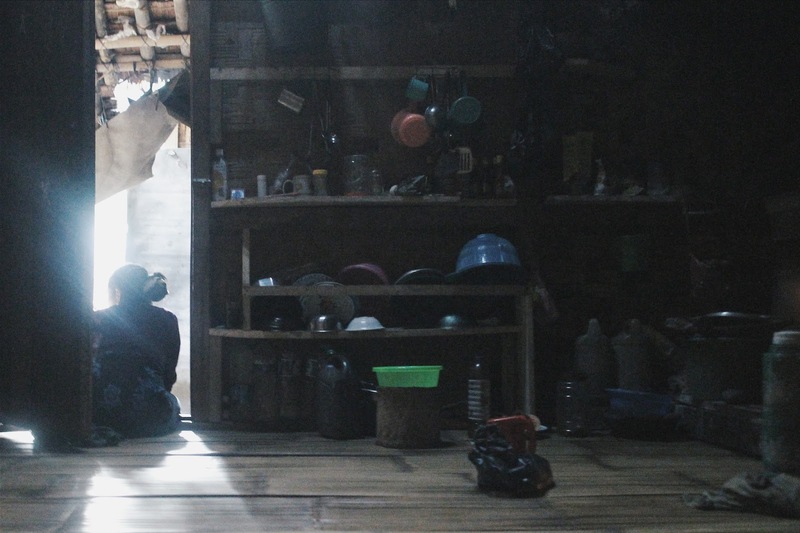 Compared to my visit to Waerebo, Flores, last year, I felt unwanted and uninvited in Baduy. The locals didn't even respond to a polite request to take photos of them. A simple smile wouldn't be returned with another smile in Baduy. Another personal guess regarding this unfriendly welcome is the unfriendly visitors. Since Baduy is a very popular place among city dwellers, I assumed that the locals are quite annoyed by weekly visitations. Imagine having a house that is invaded by visitors every weekend on a weekly basis. I would be annoyed. 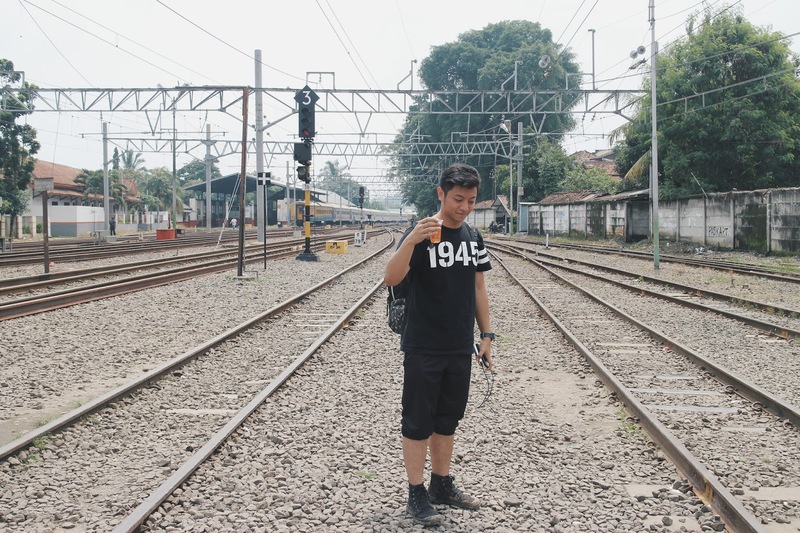 I ended my trip with another train ride back to Jakarta. If you read through my trip in Tanjung Lesung, you would know that the whole 4 days trip costed me only around Rp 500k. Other than that, you would also know the reason I was filled with thoughts. At the end of the day, another quote came profound to me: "If your train of thought is heading nowhere, switch tracks." Perhaps the key is not to act on your thoughts, but the key is to master your thoughts. It is still something that I struggle with until today, but everyday is a learning journey right? Ragged me, a few minutes before hopping on a train back to Jakarta.